Agri-Horticulture 2019 takes great pleasure in welcoming you to participate in the upcoming European Conference on Agrotechnology and Horticulture during November 03-04, 2019 at Paris, France to witness valuable scientific discussions and to participate in workshops on recent advances in agricultural technology, Horticulture, Symposiums, Agri-Horticulture Sessions & contribute to the future innovations in the field of Agrotechnology and Horticulture. Horticulture is the branch of plant agriculture dealing with garden crops, generally fruits, vegetables, and ornamental plants. The word is derived from the Latin hortus, “garden,” and colere, “to cultivate.” As a general term, it covers all forms of garden management, but in ordinary use it refers to intensive commercial production. In terms of scale, horticulture falls between domestic gardening and field agriculture; though all forms of cultivation naturally have close links. Who are attending Agri-Horticulture 2019? The expected attendees are specialised horticulturists, soil scientists, agronomists, plant breeders, including aquaculture scientists, Agricultural Science Faculty and Students, Plant Science Faculty and Scientists, Animal Science Faculty and Scientists, Agricultural Universities, Forestry and Landscaping Scientists, Agriculture & Food Security departments, Agricultural and Plant Associations, Societies. Anticipating students are welcomed from various fields such as Agriculture, Horticulture, Agronomy, and Clinical Research Centres. Business Entrepreneurs, Agricultural equipment Manufacturing Companies, Horticulture aiding device Manufacturers. Agri-Horticulture 2019 is an international platform for presenting research advances in agrotechnology, Horticulture, exchanging ideas and Innovations in the field and thus contributes the dissemination of knowledge in Agrotechnology and Horticulture for the benefit of all the mankind and business. This event brings together horticulturists, soil scientists, agronomists, plant breeders, including aquaculture and agriculture scientists and all the eminent researchers and experts in the field of agrotechnology to explore the advancements in the field of agricultural technology and possibilities of better yields eradicating the risk of pests and weeds and rich crop varieties. We bring together industry executives, food, agriculture Industry sectors making the conference a perfect platform to network, share views and knowledge through interactive discussions. The horticulture industry consists of the production of fruits, vegetables and flowers. In today's world, people are very conscious about their diet and eating habits. A busy lifestyle and stressful work culture has pushed up the consumption of fruits and vegetables. 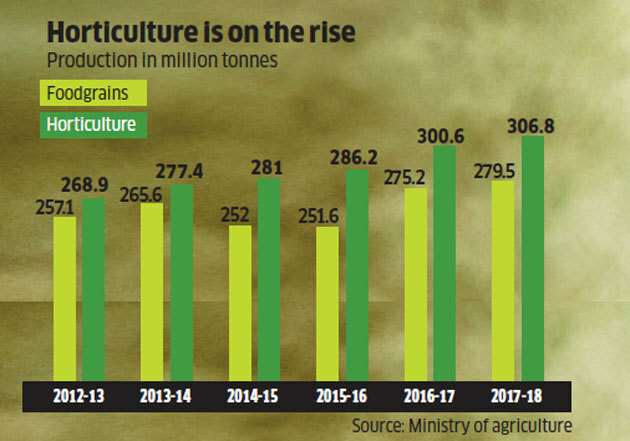 Consequently, the sector is flourishing and opening up new prospects of employment and research, thereby introducing a new dimension into the agriculture sector across the world. As a matter of fact, horticulture is currently considered as a separate industry. Further, the floriculture industry is picking up pace due to the increasing demand for fresh flowers and several associated products. This has generated new income prospects for farmers and others working in the allied sectors of this industry. The processing, transportation, distribution and packing sectors associated with the horticulture industry have also been greatly benefitted. Global fruit production in 2013 was estimated at 676.9 million tonnes as against an estimated 656.9 million tonnes in 2012. The global fruit industry consists of the production and trade of bananas, semi-tropical fruits, citrus fruit, soft fruit, pommes and stone fruits. Global vegetable production, including the production of melons, was estimated at 879.2 million tonnes in 2013. China and India were amongst the highest producing countries for the year. Among all vegetables, potato was the most popular; other widespread vegetables were sweet potato, tomato, onions and cabbage. The leading fruit producing countries in the world in 2013 were China, India, Brazil, the United States of America (USA) and Indonesia. China and India also made it to the top-10 vegetable producing countries of the world in the same year. The global export of fruits which stood at USD 68.17 billion in 2009, increased to USD 97.02 billion in 2013. Globally, the fruit imports also registered an increase to USD 105.26 billion in 2013, from USD 76.49 billion in 2009. India was placed 10th in the import of vegetables, valued at USD 2,305.34 million, and secured the 14th position in the import of fruits which was valued at USD 2,162.31 million in 2013. In 2011, land area under flower production worldwide was 400,000 hectares. Asia-Pacific, with an area of 244,263 ha, accounted for nearly 60 percent of the total area under production, with China and India dominating this space. Global annual consumption of flowers was estimated in the range of USD 40 - 60 billion in 2011. On the demand side, major flower consuming countries in the world are concentrated in Western Europe, Germany, the USA, the UK, France, the Netherlands and Switzerland. Together they consumed around 80 percent of the total flower production. Of the world's ten largest domestic markets for cut flowers, six are in the EU, namely Germany, the UK, France, Italy, the Netherlands and Spain. Other important markets are the US and Japan, accounting for around 20 percent each. Recently, Russia and the Middle East have also become important markets demonstrating rapid market growth. Over the last few years, the market for the flower industry has advanced and the demand for newer products has expanded. For instance, currently, the Russian market preference is for very large flower buds. Globalization, trade liberalization and transformation in consumer demand are generating new market opportunities for producers and labourers of the horticulture industry. This has thrown up a wide range of economic prospects for the industry, especially in the tropics and sub-tropic zones. Consequently, many farmers who produced cereals have changed a portion of their production into high value horticultural crops. Many countries across the globe have been taking measures to support the horticulture industry due to the fact that it is contributing significantly to the domestic economy. For instance, the Netherlands' economy is largely influenced by this industry; it tops the charts in the export of flowers. Hence, despite various issues of soil degradation and erosion, the country is still taking up measures to increase soil fertility and implementing new technology for the production of flowers. Irrigation suggests that the watering of land to prepare it for agricultural functions. AN irrigation system is that the provision of water via artificial canals and channels to growing plants and crops within a field. Agricultural water users will optimize water use potency and defend the standard of water resources by applying basic info concerning irrigation systems, crop water use and management practices. Seed science and technology involves disciplines like plant production, agronomy, plant physiology, plant science, entomology and plant pathology. The seed most vital to begin with for a healthy plant. If a seed isn't viable a it won't germinate. If a seed has low vigour a weak sprout may emerge that eventually will succumb to environmental conditions or will be attacked by pathogens or insects. It’s important to confirm that the seed is viable and can produce to vigorous seedlings that would stand up to unfavourable environmental conditions and pests. Correct sampling of a seed is vital before any tests are done on the seed. The purity, physical and genetic, should be determined before testing. All seed ought to be tested for viability, that is, the percentage of germination should be determined and recorded on the seed lot. Weed Science - the study of vegetation management in agriculture, aquatics, horticulture, right-of-way, basically whereever plants ought to be managed. It involves the study of all the tools required for this purpose like cropping systems, herbicides, management techniques and seed genetics. However, it's not just controlling plants, but the study of plants. This includes ecology, physiology, and genetic science of plants species that are known to be impactful on the economy and our ecology. Pomology - The applied science of fruit cultivation and production. pomology is typically confined to the cultivation of perennial temperate, subtropic and tropical fruit trees. Viticulture - the applied bioscience of cultivating table grapes and wine grapes. • Harvesting, Ripening, Maturity indices and postharvest maintenance of table grapes. Use of Controlled Atmosphere technology is increasing steadily, significantly contributing to the extending post-harvest life and maintaining the standard of fruits throughout the past few years. As technology advances are made in this field, this trend is expected to continue. Ruminant (cud-chewing) animals like cattle, sheep, and goats convert enormous quantities of pasture forage, harvested roughage, or by-product feeds, along with non protein nitrogen such as urea, into meat, milk, and wool. Ruminants are thus highly important; 60% of the world’s farmland is in meadows and pasture. Poultry additionally converts feed expeditiously into protein; Milk is the most whole and oldest animal foods. Conference Series llc Ltd successfully hosted its premiere 13th International Conference on Agriculture & Horticulture in Zurich, Switzerland during September 10-12, 2018. The conference was organized with a focus on “Recent innovations and implementation of modern technologies in Agriculture” and it was a great success where eminent keynote speakers from various universities addressed the gathering. The generous response and active participation of the Organizing Committee Members and Editorial Board members of Agrotechnology, Advances in Crop Science and Technology, Journal of Horticulture played a major role in the success of Agri 2018. On another hand, we take the opportunity to thank all the speakers, delegates and participants for providing their valuable support and time for Agri 2018. Our special gratitude to our collaborators from the Zurich Tourism. Agri 2018 Organizing Committee would like to thank the Moderator of the conference, Dr. Partha Sarathi Nath, Bidhan Chandra Krishi Viswavidyalaya, India and who contributed a lot for the smooth functioning of this event. Conferenceseries LLC Ltd congratulates the Best Poster awardees & Best YRF awardees for their outstanding performance in the field of Agriculture & Horticulture and appreciates all the participants who put their efforts in poster presentations & Young Researchers form and sincerely wishes them success in future endeavors. 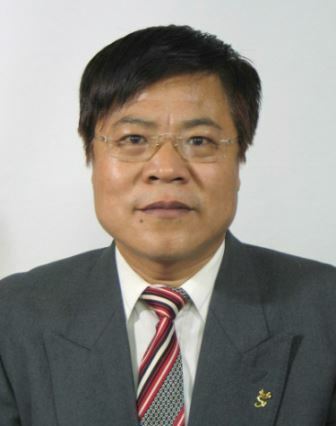 We would like to thank the YRF Judges Dr. Huajun Wang, Gansu Agricultural University, China for their valuable judgment. We would like to thank the Poster Judges Dr. Abdul Khalil Gardezi, Postgraduate Agriculture College, Mexico for their valuable judgment. All the papers presented at the Agri 2018 will be published in the proceedings of the Agrotechnology. With the success of 13th International Conference on Agriculture & Horticulture and with the suggestions from Organizing Committee Conferenceseries LLC Ltd gladly announces its European Conference On Agrotechnology and Horticulture (Agri-Horticulture 2019) during July 11-12, 2019 at Ljubljana, Slovenia. Agri-Horticulture congress 2019 invites the abstract submission of original work. Abstracts should be submitted with the understanding that they should have not been conferred elsewhere (except within the type of a thesis) and should not seem to be into consideration by another conference at the moment. The submitting speaker must make sure that the abstract publication has been approved by all co-authors involved. All abstracts should be written completely in English (including the title, abstract text, author names and affiliations). Affiliation details of all authors: Department, institution/organization, city, state (if relevant), country. 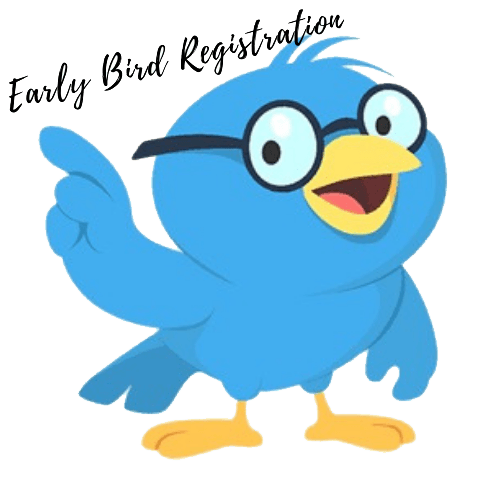 As a non-funded organization, Conference Series LLC cannot offer any participant full waiver on either Registration or on Accommodation or offer any grants for travel. However, in special cases, a participant, particularly from lower-income & lower-middle-income economies (World Bank Classification for 2019 business enterprise year) might apply for monetary help in writing to the Program Manager for thought. The decision of a release is made by the Organizers support for the applicant's affiliation, abstract and knowledge. we have a tendency to advice participants to produce an in depth and up-to-date history while submitting abstract. Conference Series LLC additionally problems a Letter of Acceptance for the asking to participants who need it to use for financial help at their University/Institution.